Need help choosing your next book? Want to join a teen book club? 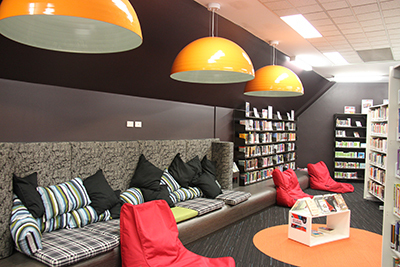 The Teen Lounge has new titles for teens as well as information on the Teen Book Club hosted by Randwick City Library. If you're planning a visit to the Library, be sure to check out the teen events page to see what's happening at our three libraries! “Shortcake Cake”: Ten Serizawa has a two-hour commute through the mountains to high school every day, so she can't spend much time hanging out with her friends in the afternoon. She decides to move into the local boardinghouse, where one of her friends and three other boys are living. Ten's friends consider her to be as oblivious as a rock when it comes to noticing boys and falling in love, but will she be able to keep her calm and steady heart in her new living situation? “Rurouni Kenshin”: With his killer blade, legend-warrior Hitokiri Battosai once helped close the turbulent Bakumatsu era and slashed open the progressive age known as Meiji. It's now 1878, ten years after the bloody Meiji Revolution that marked the end of the rule of the Shogun and the Samurai in Japan. In Tokyo, where swords have been banned, Kamiya Kaoru's fencing school's reputation is being ruined by a swordsman who is killing people in the streets using her signature style. But while hunting for the Battosai who is destroying her livelihood, Kaoru bumps into the wandering Himura Kenshin, and so begins an extraordinary friendship between the master swords woman and the mysterious past-master who has vowed never to fight again. 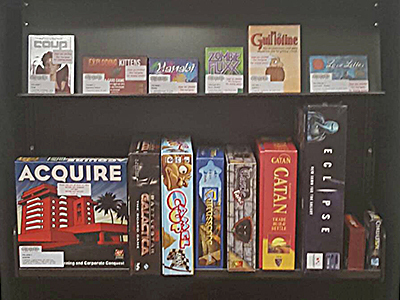 A huge selection of contemporary card and board games are available for loan from Randwick City Library. Games are for loan for three weeks, and are limited to five per library member at a time. Browse all our available games on our library catalogue. Check out this page for our awesome tabletop game-related events we run. Contact us and let the Youth Officer know if there is a game you would like to see added to the collection. Join fellow readers in a fun discussion of various titles, genres and film adaptations. Members meet every third Thursday of the month to discuss set books and items which they have been reading recently. This is a free event, but bookings are essential. You must be a library member and a high school student in years 7-12 (or equivalent) to attend. Keep an eye out for other great Teen holiday and regular activities coming up soon. When is the Book Club held and what are they currently reading? Please note membership to this group is restricted at the moment, contact us to register your interest for when a space becomes available.